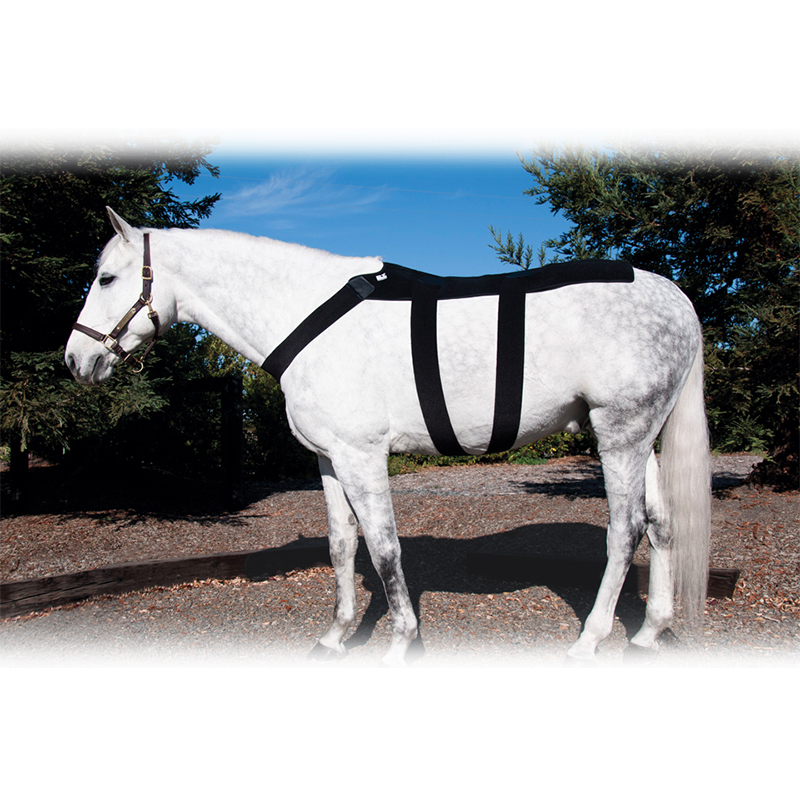 Easy to use Ice Horse® Back Blanket with reusable inserts provides uniform compression and coverage to reduce soreness, inflammation and heat. Ice packs mold to the horses back for maximum coverage and stay cold for over 2 hours. Surcingle’s are made with anti migration fabric. Our unique breathable fabric keeps the Back Blanket in place on the and the ice compressed against the area being treated. Specially designed Velcro closures allow for a secure tight fit every time. Removal is easy – no yanking or jerking on the tabs to undo. To Measure: Start where the wither meets the horse or pony's back. The blanket should cover the croup for maximum effectiveness. If in doubt, order the longer model.